Liberating Histories makes an original, scholarly contribution to contemporary debates surrounding the cultural and political relevance of historical practices. 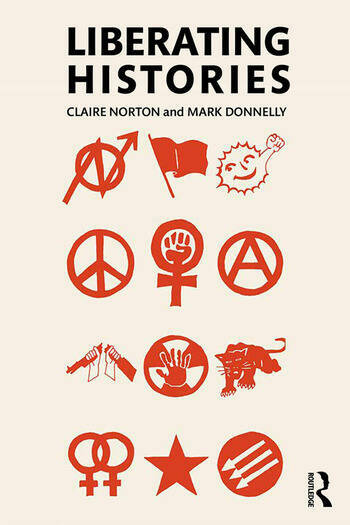 Arguing against the idea that specifically historical readings of the past are necessary or are compelled by the force of past events themselves, this book instead focuses on other forms of past-talk and how they function in politically empowering ways against social injustices. Challenging the authority and constraints of academic history over the past, this book explores various forms of past-talk, including art, films, activism, memory, nostalgia and archives. Across seven clear chapters, Claire Norton and Mark Donnelly show how activists and campaigners have used forms of past-talk to unsettle ‘common sense’ thinking about political and social problems, how journalists, artists, curators, filmmakers and performers have referenced the past in their practices of advocacy, and how grassroots archivists help to circulate materials that challenge the power of authorised institutional archives to determine what gets to count as a demonstrable feature of the past and whose voices are part of the ‘historical record’. Written in a lucid, accessible manner, and combining insightful critical analysis and philosophical argument with clear consideration of how different forms of past-talk influence the narration of pasts in a variety of socio-political contexts, Liberating Histories is essential reading for students and scholars with an interest in historiography and the ethical and political dimensions of the historical discipline. Claire Norton is Reader at St Mary’s University, London. She is interested in how forms of past-talk are used to imagine, legitimise and contest identities, political spaces, institutions and discourses. Her recent books include Plural Pasts: power, identity, and the Ottoman sieges of Nagykanizsa (2017) and Conversion and Islam in the Early Modern Mediterranean (2017). Mark Donnelly is Principal Lecturer at St Mary’s University, London. He works in the fields of history theory, public history, memory and contemporary cultural politics. He co-edited Mad Dogs and Englishness: Popular Music and English Identities (2017), and co-wrote Doing History (2011) with Claire Norton.